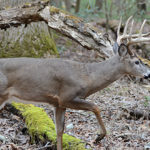 Editor’s Note: Bob Walker of Livingston, Alabama, has guided for deer and turkeys for about three decades at Bent Creek Lodge (http://www.bentcreeklodge.com) in Jachin, Ala. He’s been deer hunting for more than four decades and is a member of Mossy Oak’s Pro Staff, www.mossyoak.com. 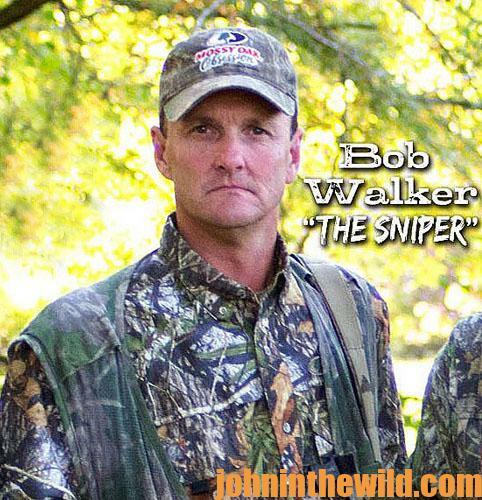 Walker knows how to find big bucks where no one is looking for them. My secret to taking big bucks on little properties is to find places to hunt that are overlooked by other hunters. 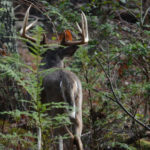 Most hunters say they want to hunt big woods or large properties. They believe the more land they have to hunt, then the better their odds will be for taking trophy bucks. However, I’ve found the opposite is true. 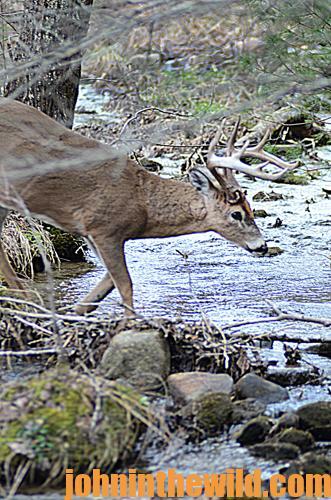 The smaller places you hunt where no one else is hunting often produce the biggest bucks. 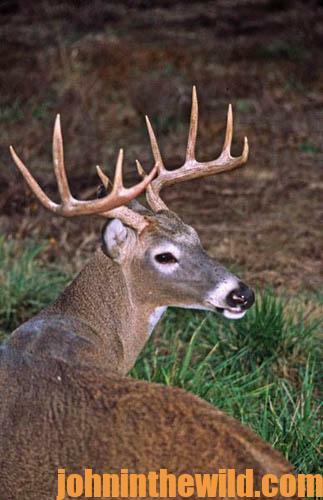 The first deer on any property to feel hunting pressure is the mature buck. 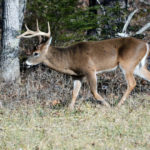 He’ll recognize that hunters are in the woods to try and take him more than they are interested in any other buck in the deer herd. 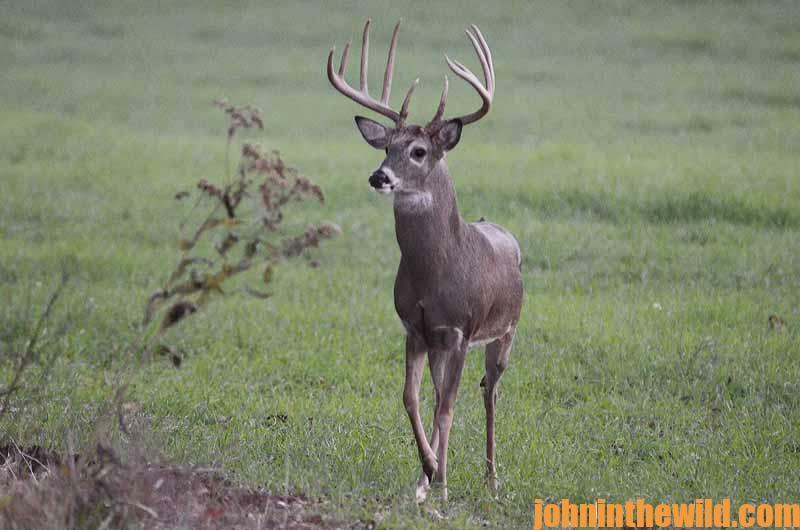 So, that mature buck will be the first deer on the property to go to a spot that hunters don’t hunt. Many of these small plots become sanctuaries if a sanctuary has plenty of cover, food and water, or if the hunting land is extremely close to the sanctuary. On my first trip to the big buck state of Illinois, I was as lost as a ball in high weeds. I didn’t know the property, and I didn’t know anyone who knew the property where I was to hunt. All I had was a map of this public-hunting area with the boundary lines drawn on it. When I hunt a new place, the first thing I don’t want to do is to get off the property onto someone else’s land. So, when I got to this public-hunting region in Illinois, I took the boundary map and started walking the property line to learn exactly where I could and couldn’t hunt. I’ve learned over the years that often the boundary lines on a map aren’t exactly correct. For instance, if the boundary line of a public-hunting land is the edge of a creek, many times the public land may extend for 10, 20 or even 100 yards on the other side of the creek. The boundaries are usually marked with paint or signs on trees. As I walked the edge of the creek of this public-hunting land in Illinois, I learned that the boundary of this property had little pockets of land on the other side of the creek, although the map wasn’t marked like that. I thought, “Those little pockets of land on the other side of the creek probably receive very little or no hunting pressure.” I also decided that since crossing the creek was difficult, that not many people would be willing to cross the creek to only hunt 50 to 100 yards of land from the creek to the true boundary line. Too, I could tell from where I had parked my truck that apparently, many other people had parked their vehicles close to this creek. I decided to park my truck about 200- to 300-yards down the road from where I entered the woods to keep anyone from knowing exactly where I started hunting. When I went across the creek for the first time, I thought that the public-hunting land over there might only be a 50-yard stretch of hardwoods from the creek to the boundary line. But after walking the boundary line, I discovered that in some spots the boundary line was 200-yards beyond the creek. I found a place where a bend of the creek was close to a soybean field that was on private land. Sitting in my tree stand, I could see houses not too far away. The first afternoon I sat in my stand, a fellow came down the edge of the soybean field walking his dog. The fellow waved to me, as nice as he could be. I climbed down out of my tree stand and walked over to talk to the man with the dog. He apologized for messing up my hunt. I told him not to worry about it. I was enjoying being out here and having a time and a place to hunt. As we chatted, the man told me, “If I get home in time, about every other day, I like to walk my dog down this way. Sometimes, we don’t come this far.” He also showed me a branch (small creek) that came from the public-hunting land and went out into the soybean field – a vital piece of information. We talked for a few minutes. I got my tree stand, crossed the creek and walked back to my vehicle. But from the information I had gained from talking with the man walking his dog, I learned I would have to hunt there in the mornings instead of the afternoons. I also figured out that I needed to move my tree stand about 50-yards closer to the funnel than I had it set-up that day to be successful. The next morning before daylight, I crossed the creek and put up my tree stand in the location I had picked out the day before. As the sun came up, I saw people coming out of their houses and starting their cars, headed to work. I spotted a number of deer coming out of the soybean field that morning and walking down that thick-covered ditch that came from the public land and went out into the soybean field. I could tell to be in the right place to get a shot with my bow that I needed to move my tree stand one more time – closer to the ditch, which turned out to be a little creek. I picked out the tree where I wanted to put my stand, came out of the woods before lunch and hunted another place that afternoon. The following morning I crossed the creek again and moved my stand closer to the funnel and the thick- covered ditch that ran from the public land out into the soybean field. Just as the sun came up, I saw a huge 12-pointer following a doe down the ditch. He came to within 24 yards of my stand. I raised my PSE bow (www.pse-archery.com/) came to full draw and shot the buck. That buck scored 160 points on Pope & Young. I’ve learned that on many public-hunting areas, you may discover small patches of woods that are within the public-hunting area that don’t show-up on the map. There may be only an acre or less that’s not shown on the boundary map. Because these places are so small, most hunters won’t go to the effort to try to find and hunt them. 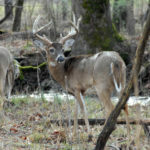 Therefore, they become safe havens for mature bucks. When I recovered my buck and started dragging him out, I met an older gentleman and talked to him. I discovered that his family had lived on a portion of what was then a WMA (Wildlife Management Area). We started talking about squirrel dogs, and that gentleman gave me the secret to taking a buck. 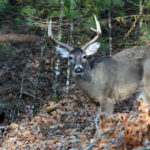 To learn more about hunting deer with John E. Phillips’ Amazon Kindle eBooks, print books and Audible books (the latest Audible is “How to Hunt Deer Like a Pro”) and Nook books, click here at http://johninthewild.com/books/#deer. You can type in the name of the book and download it to your Kindle, and/or download a Kindle app for your iPad, SmartPhone or computer. 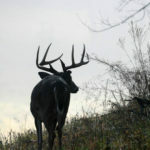 For a free download on how to make jerky from venison to provide a protein-rich snack, choose “How to Prepare Venison Jerky: The Ultimate Snack Food” at johninthewild.com/free-books.